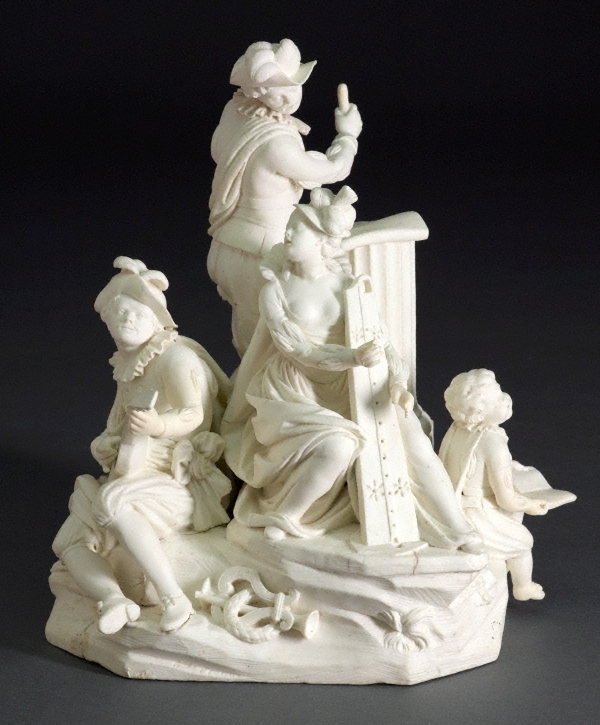 This ambitious group was modelled by Jean-Baptiste Mô, a sculptor who had previously worked at Mennecy. Jean-Baptiste is recorded in the parish registers at Bourg-la-Reine in 1772, but does not seem to have stayed long at the factory. Another example of the same group (though lacking the standing figure) is in the Musée National de la Céramqiue, Sèvres.